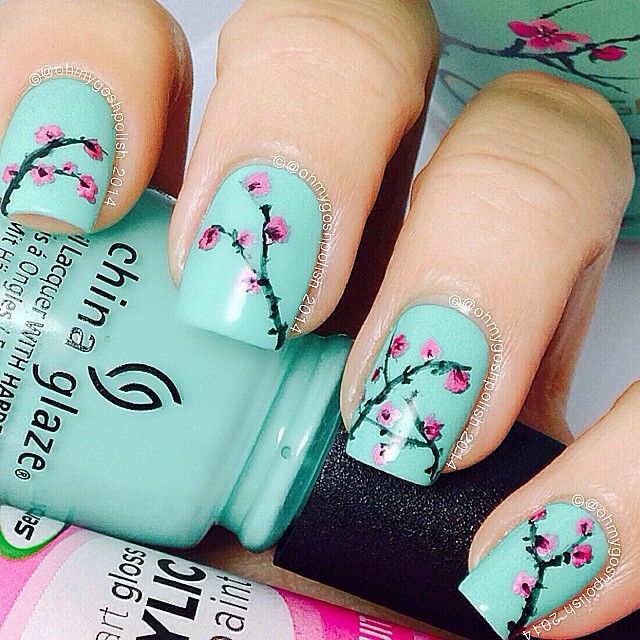 Nail art has impressively developed in the past few years. 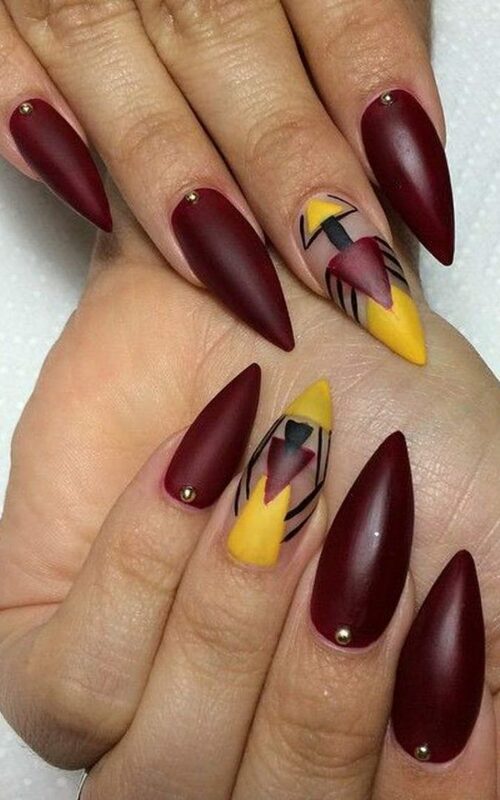 Today, we are witnessing an explosion of nail trends and designs. 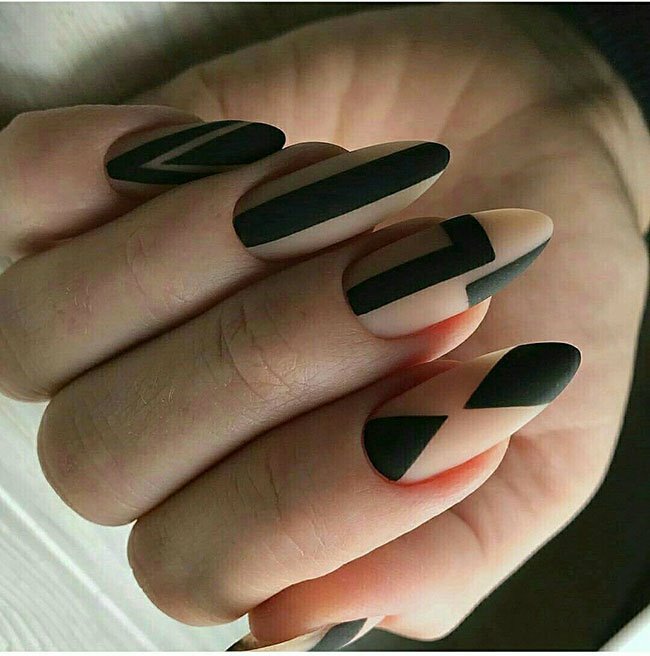 Some of them are quite simple that you could apply yourself, and others are fine-art creation that necessarily demands nail artists. 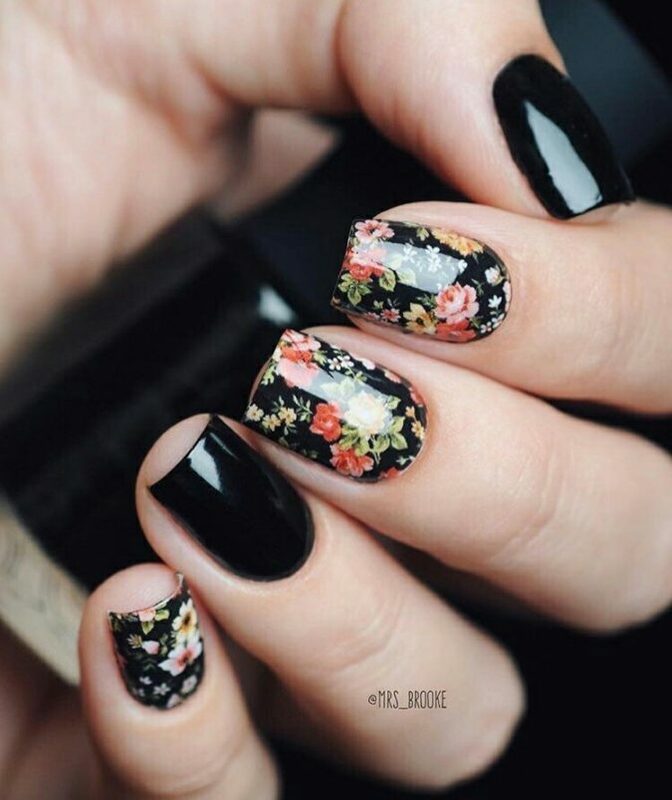 Many ladies are fascinated by this enchanting world and make sure to employ it as a joyous way to complement their appearance. 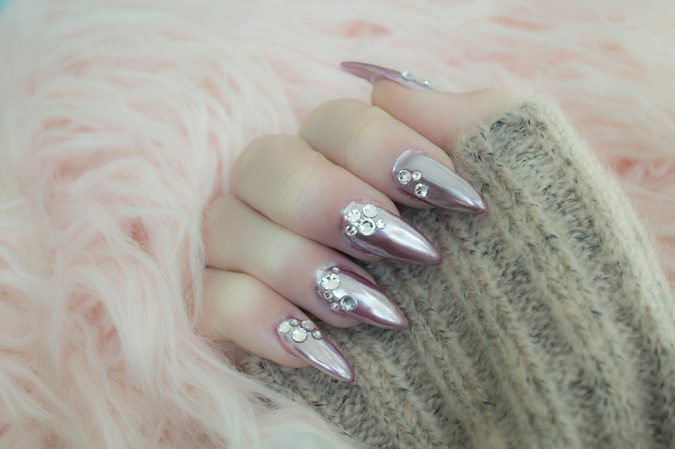 Following we present you 12 winter nail design ideas that would rock on your nails. 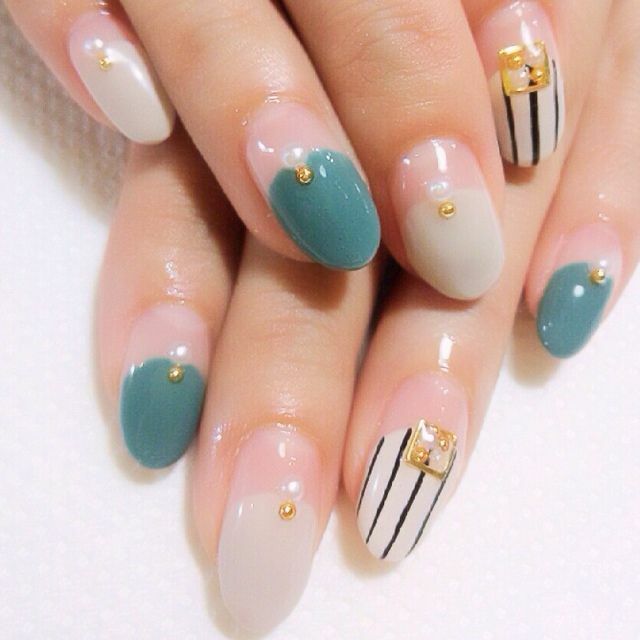 The classic look of plain-colored nails is still timeless as always has been. 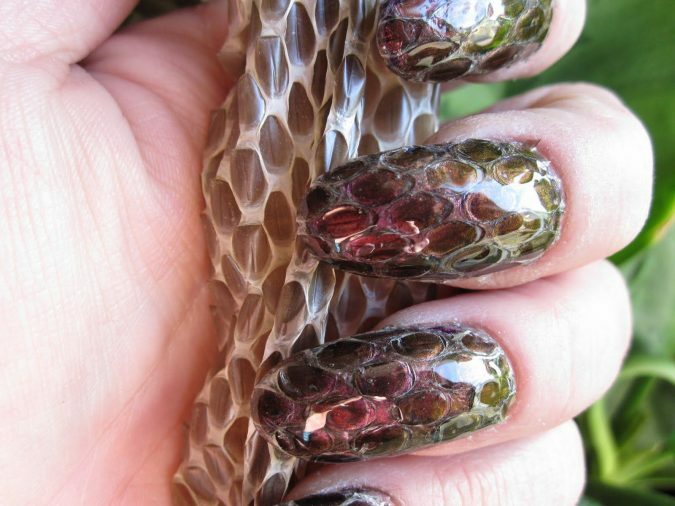 It still walks side by side with the insanely growing nail-art designs. 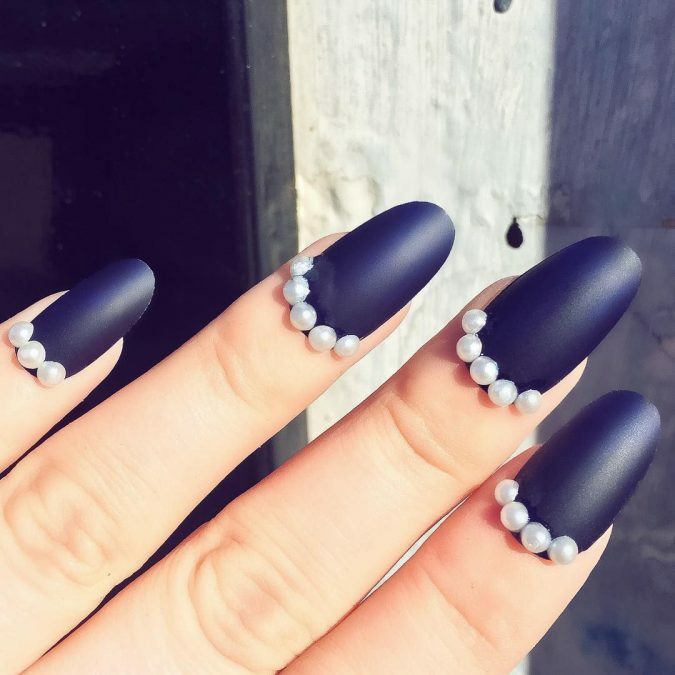 Whether you are to go for plain-colored nails or nail art, it is always good to have a look at the color trends of the year for inspiration at the first place, not to copy them. 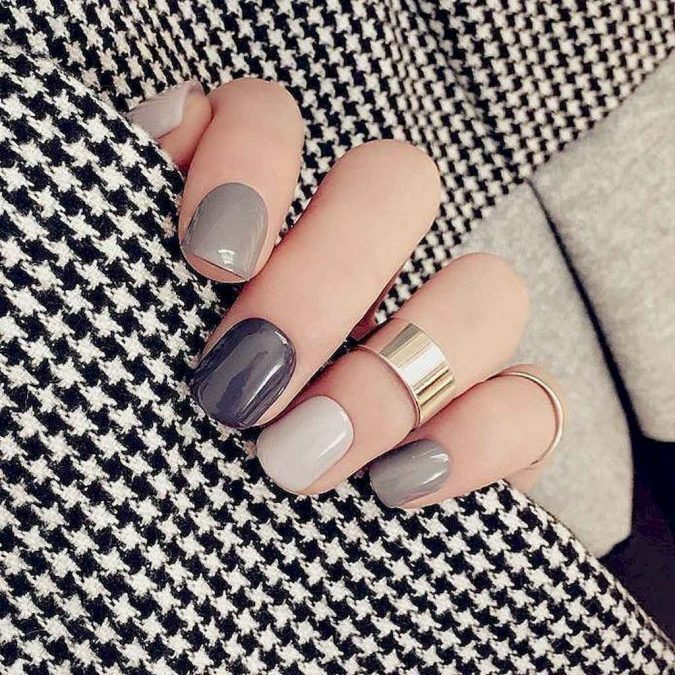 One of the best ways to do so is to view Pantone’s color palette of the year. 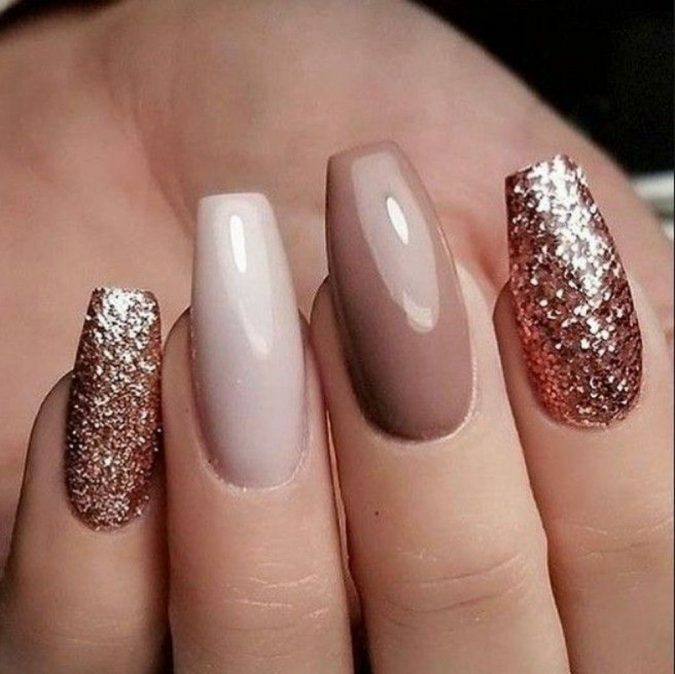 Among the suitable hues for winter are green, blue, beige, brown, and coral. 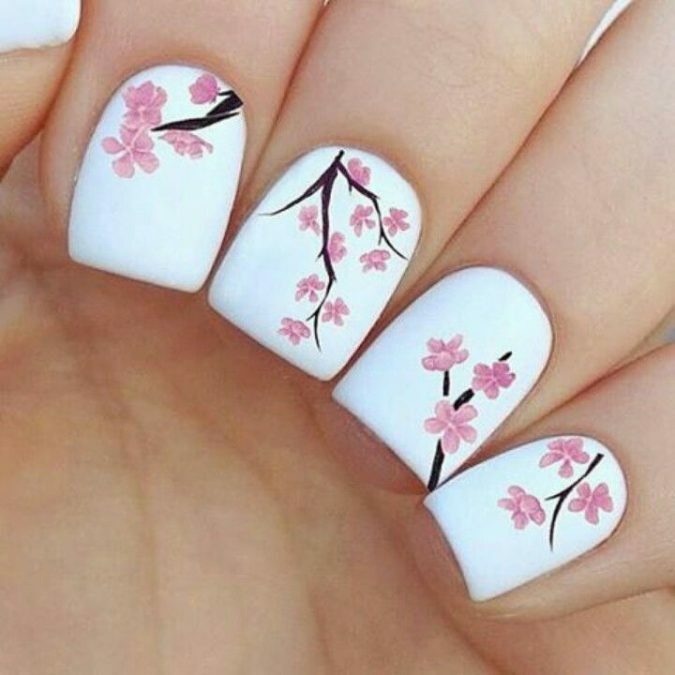 Asian natural themes are known with their beauty as well as simplicity. 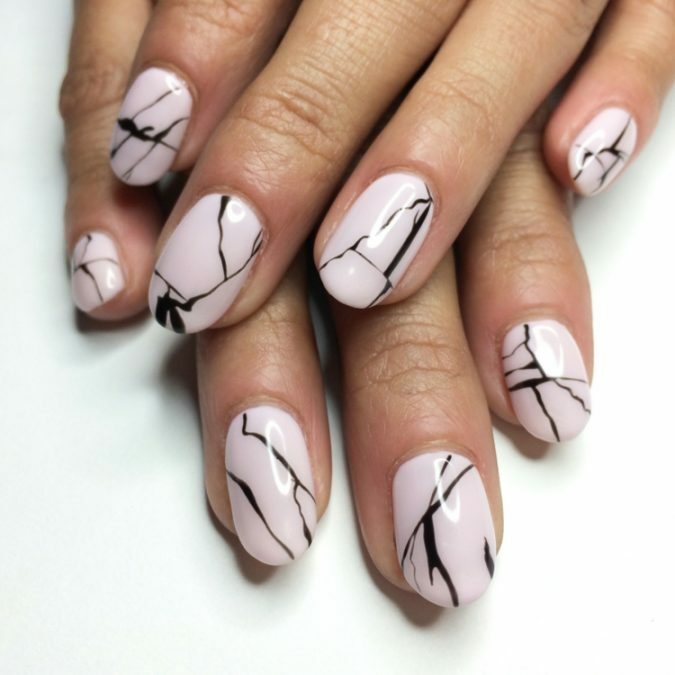 In this striking nail look, the nail artist Asa Bree Sieracki uses soft blue lines to create botanical and floral shapes on a white background, leaving the half-moon of the nail unpainted. 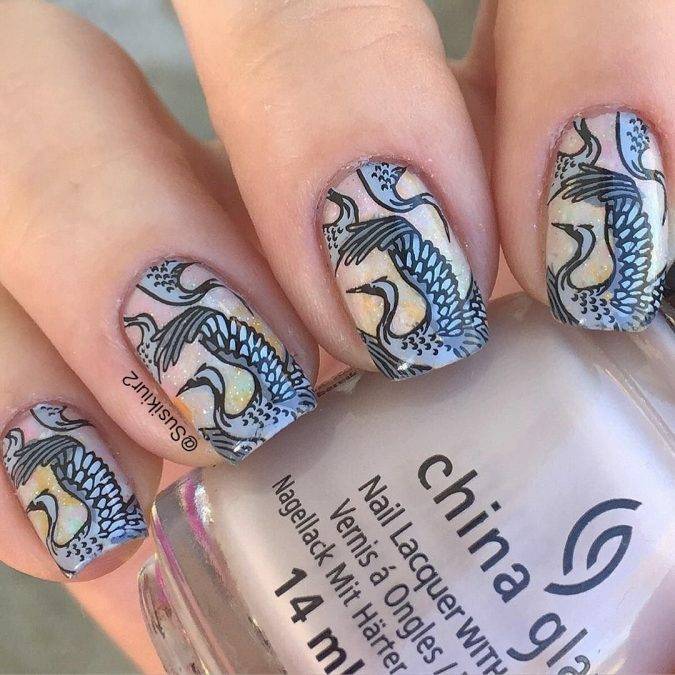 It is quite a subtle masterpiece. 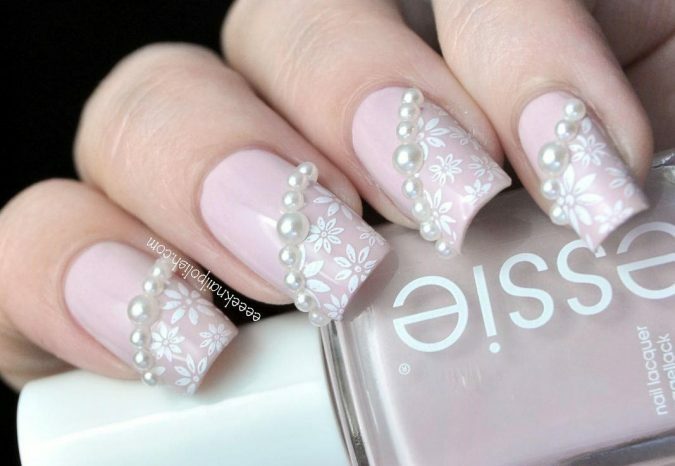 No doubt that the luster of pearls is a stellar addition to different nail colors and looks. 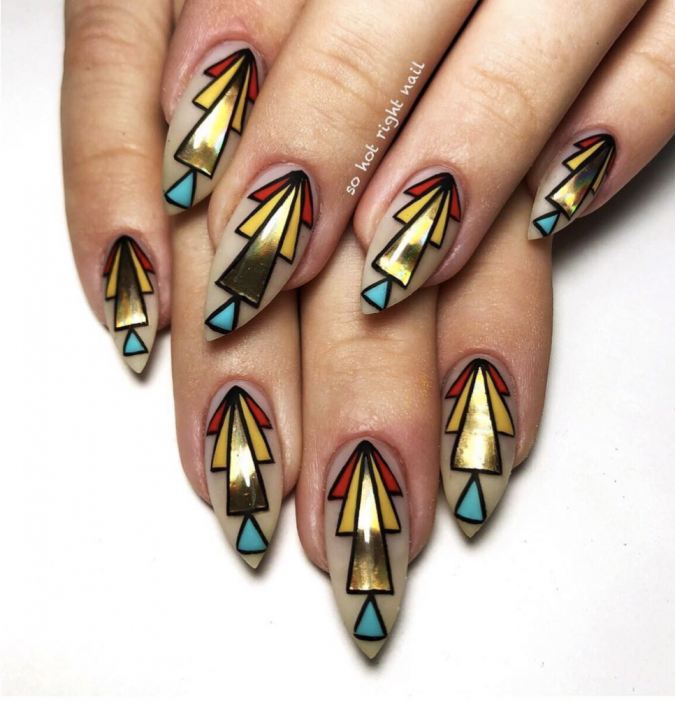 An elegant application of it is this design of nail artist Kayleigh Jean which is called Sunday. 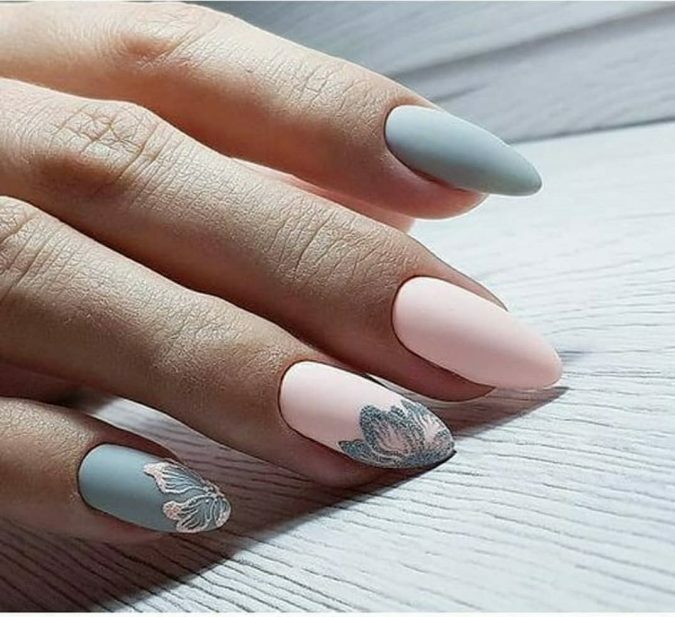 Also called the winter blue, this pastel blue shade is a quite popular trend that ladies and nail artists have incorporated in many ideas and designs. 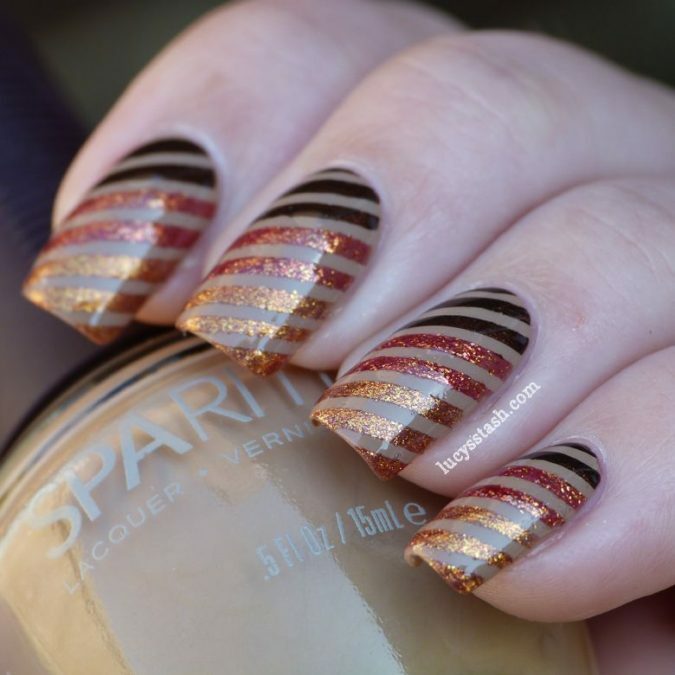 Combining it with glitter and metallic touches add extra elegance and live to the nail design. 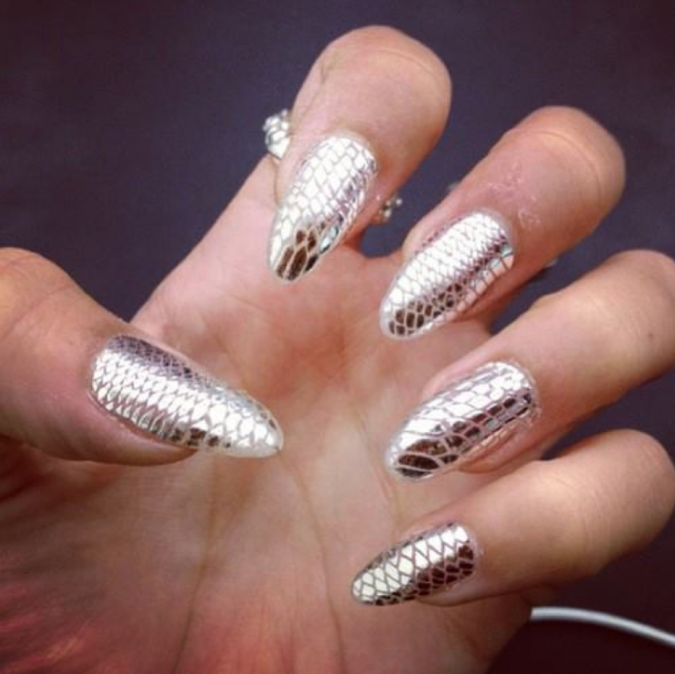 Snakeskin nail designs convey elegance with their textured looks. 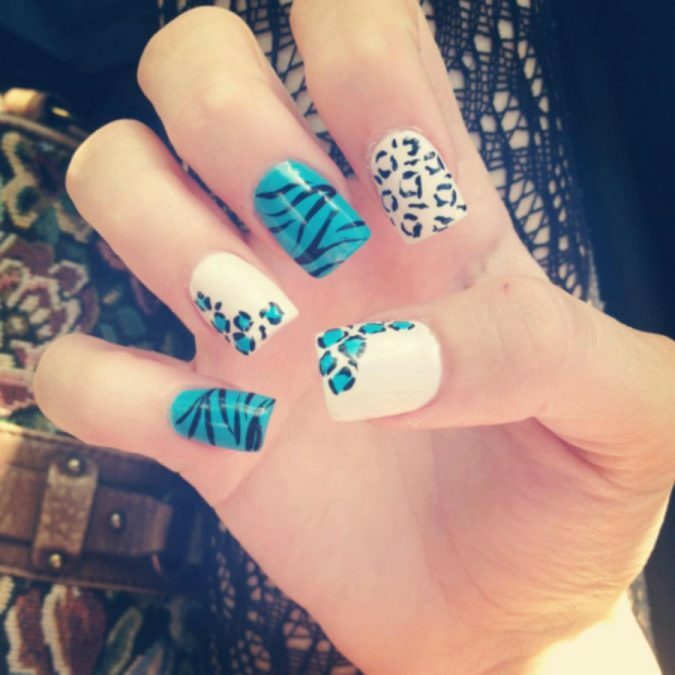 Other animal prints include cheetah, tiger, zebra, tortoiseshell prints. 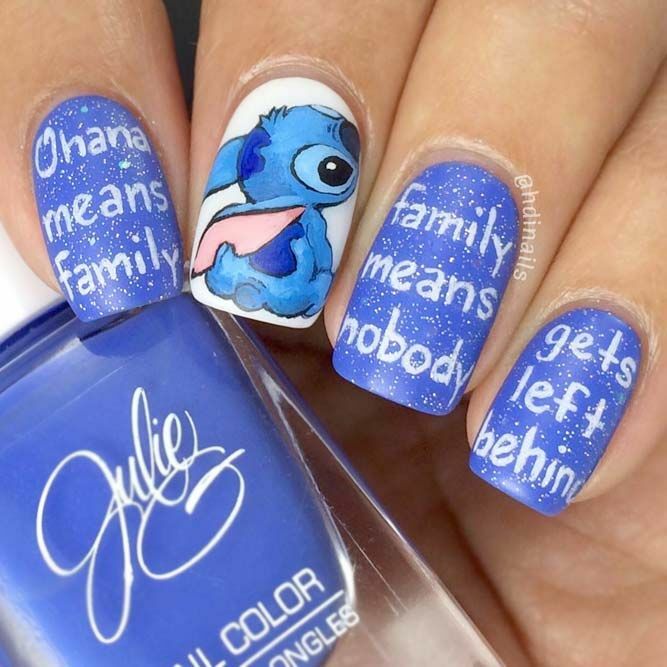 Sometimes we need to let the child inside manifest itself. 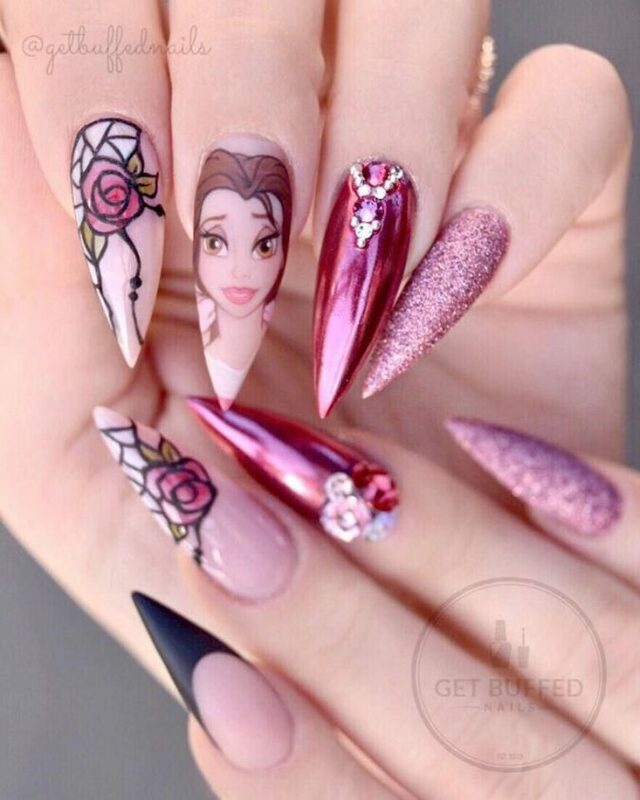 To do so, what could more joyous than Disney-themed nail art? 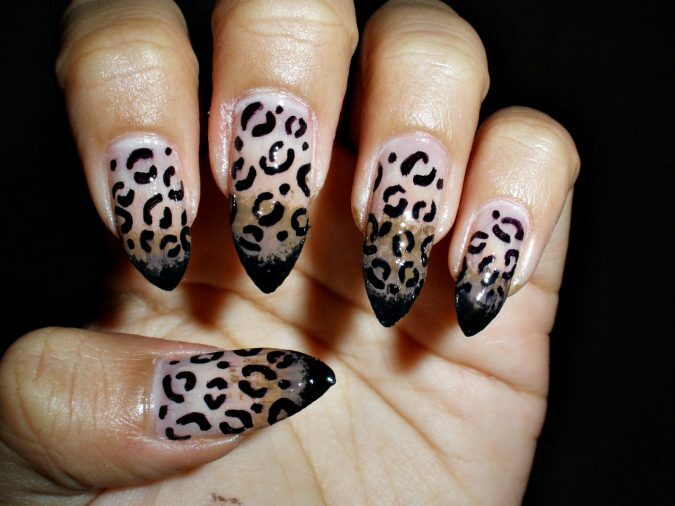 For example, the fans of villains generally, and Cruella De Ville specifically, would probably like this look. 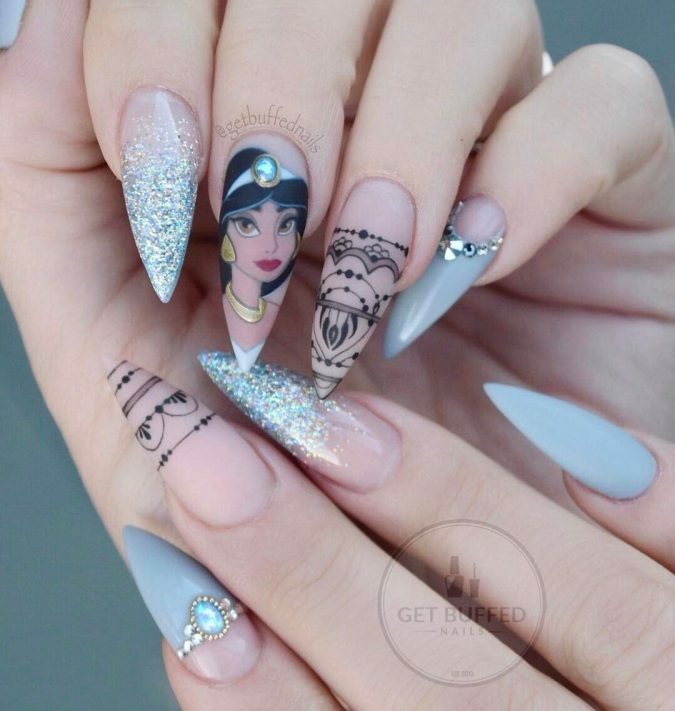 It was featured in the Blonds x Disney Villains Spring/Summer 2019 NYFW show. 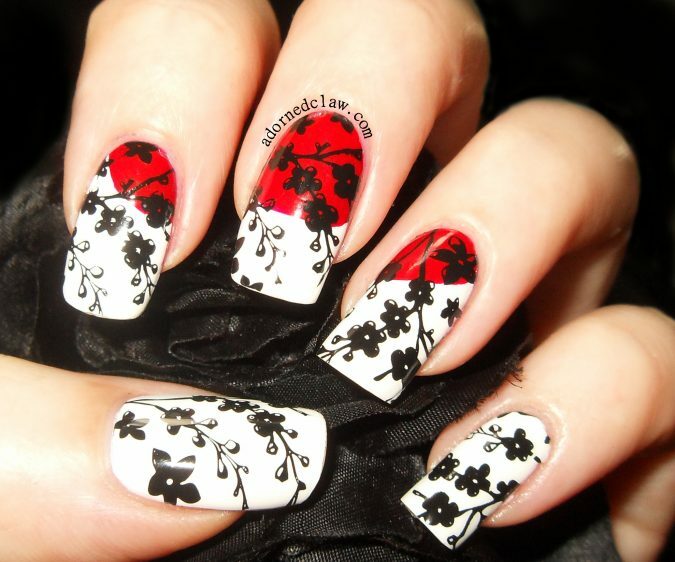 The floral charm exceeds the seasons to force itself suitable at any time of the year. 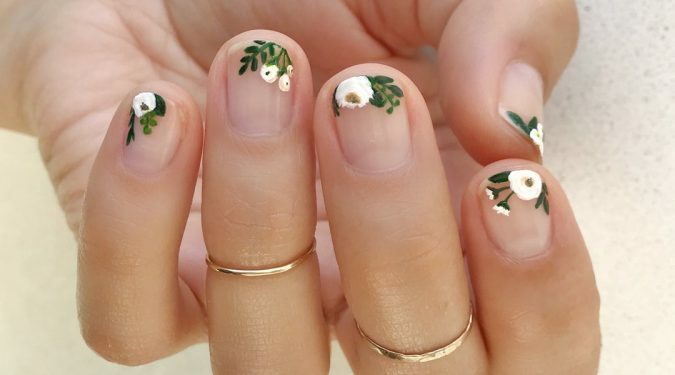 With a wide variety of designs, shapes, and colors, you would indeed find a floral nail idea that matches the season, occasion you have, and your taste, of course. 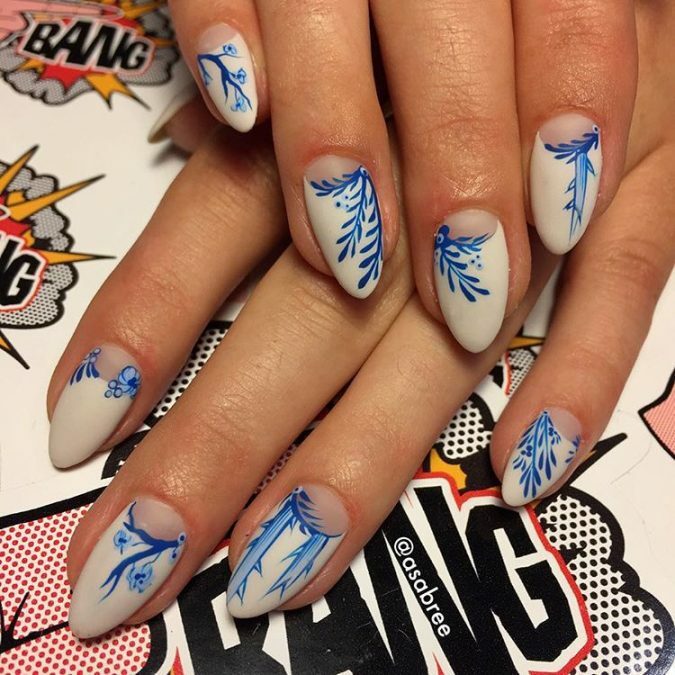 To rock a winter evening, for example, go for this design of white flowers with touches of the yellow, and deep blue background. 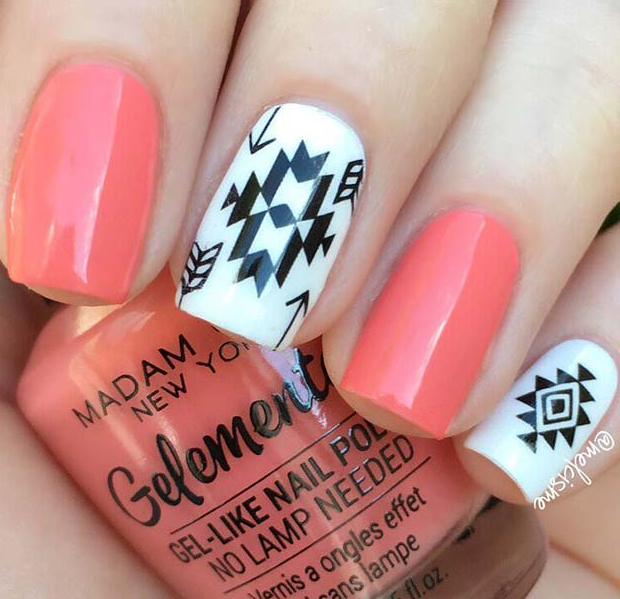 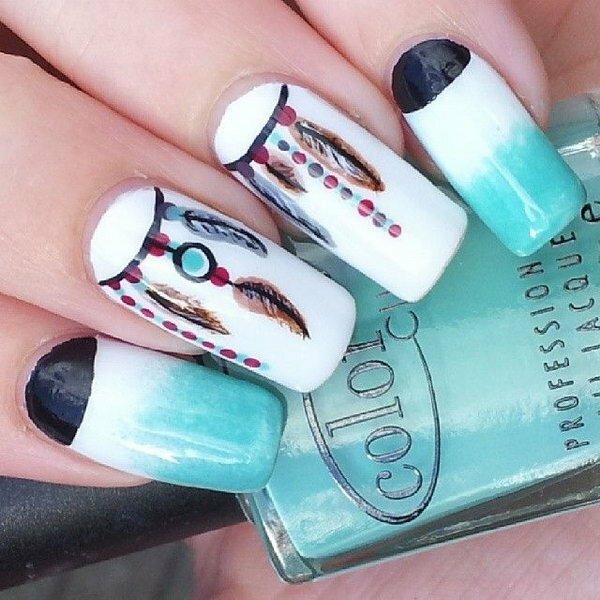 Tribal-patterned nails transmit vibrant, boho vibes. 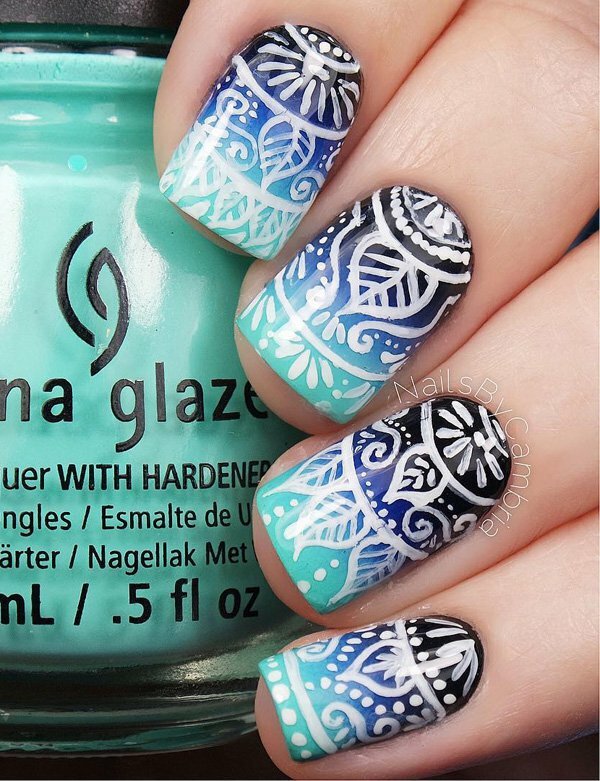 You don’t have to be a loyal fan of the boho style to apply them, for the rich and different designs can satisfy a variety of tastes. 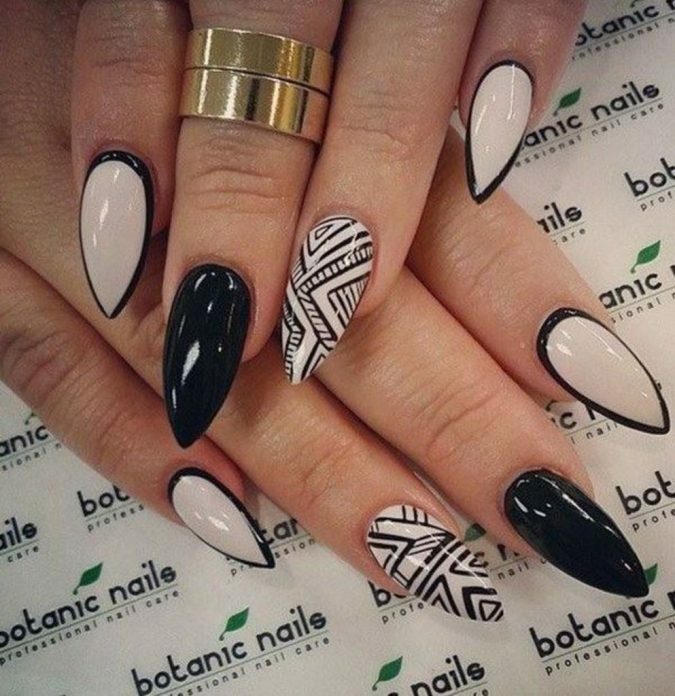 The minimal and modern patterns with their straight, confident lines express dynamic simplicity. 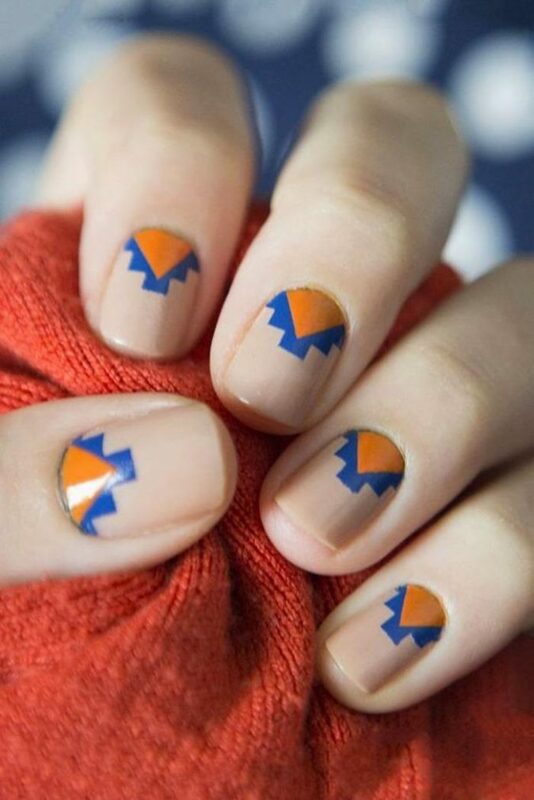 It comprises a popular trend which is the negative space nails. 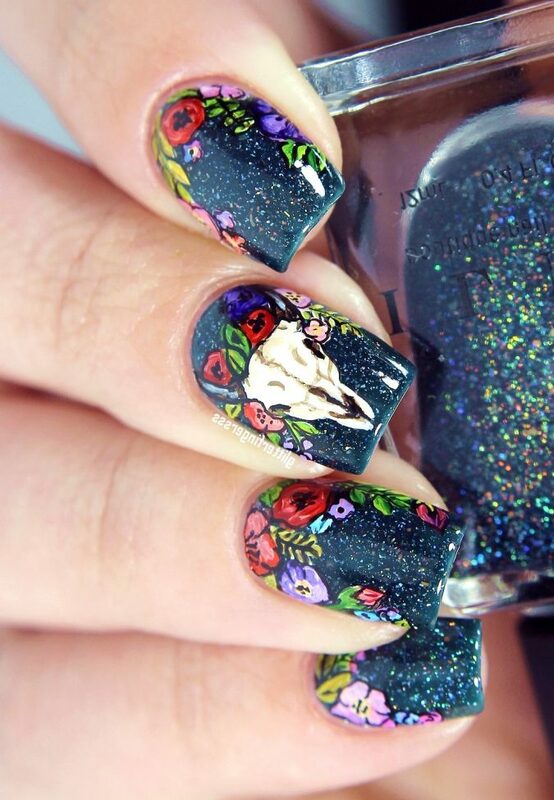 We find this one particularly stunning. 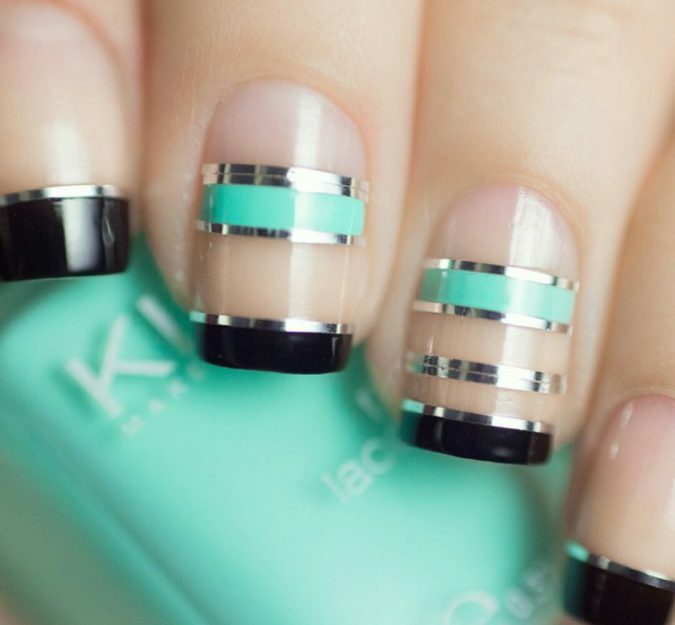 Looking for a stellar nail look? 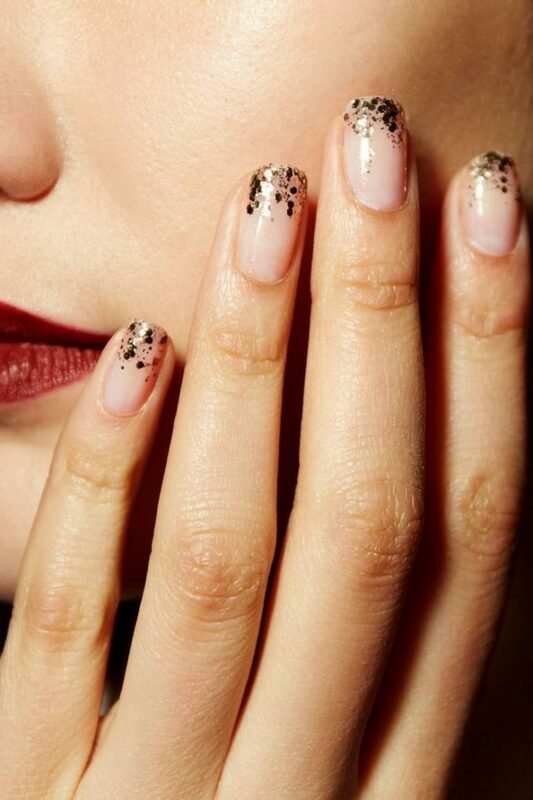 Contrasting glitter with dark background hues would serve you well. 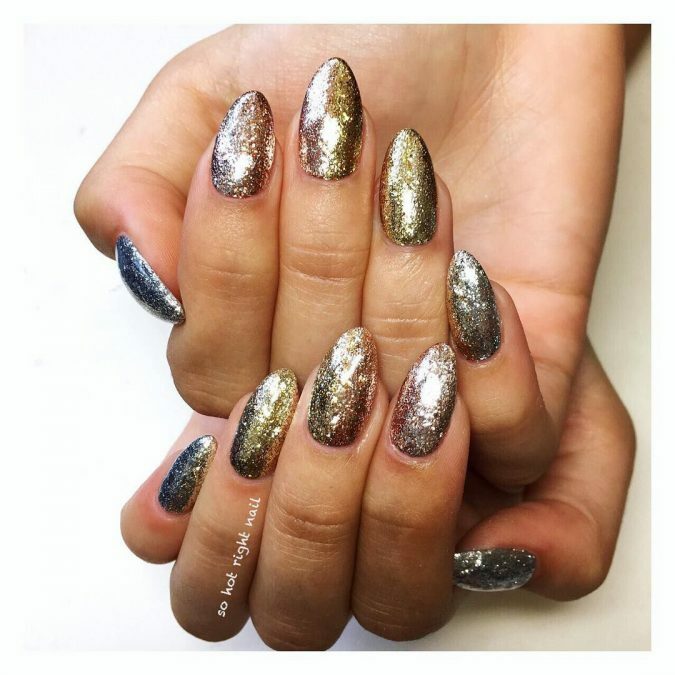 Another fabulous idea is the ombre glitter nails of Bel Fountain-Townsend, the nail artist, which is called Glitter Bombre. 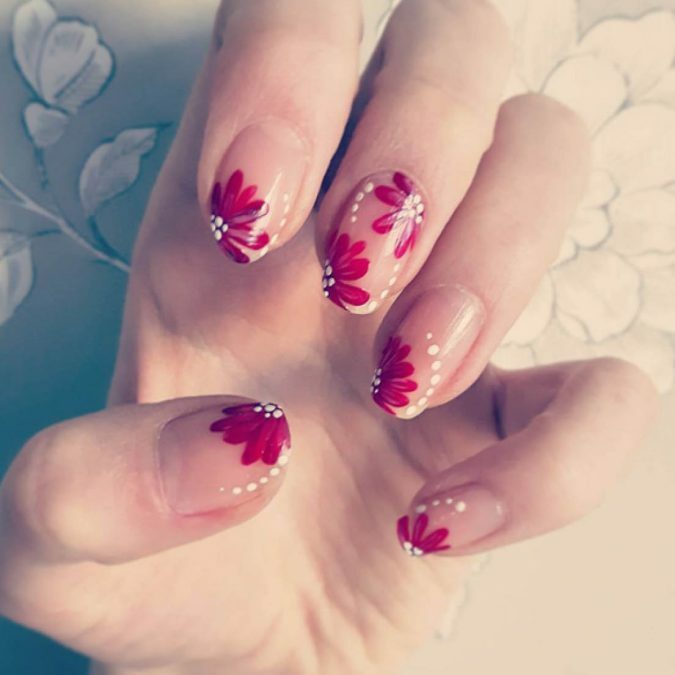 It is impossible to ignore the timeless red while talking about nail ideas. 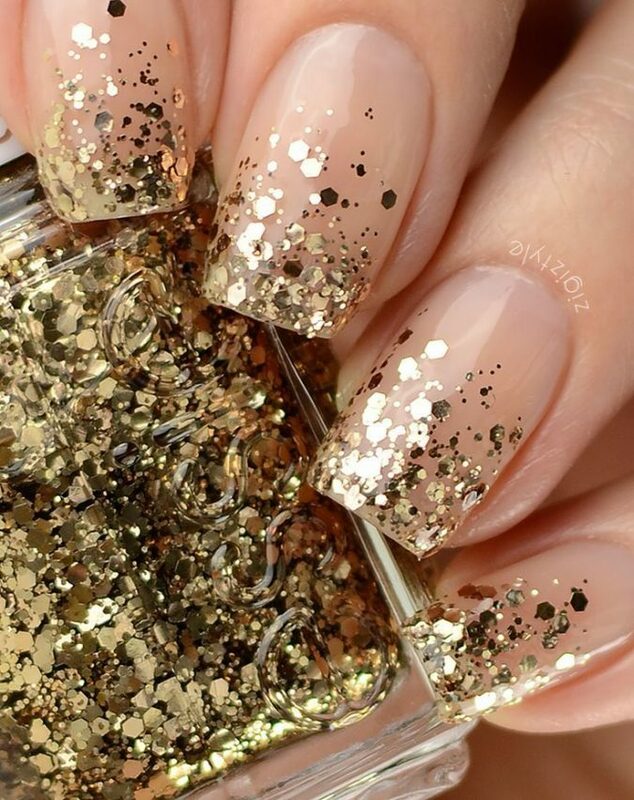 It is a classic color whose magic never fades. 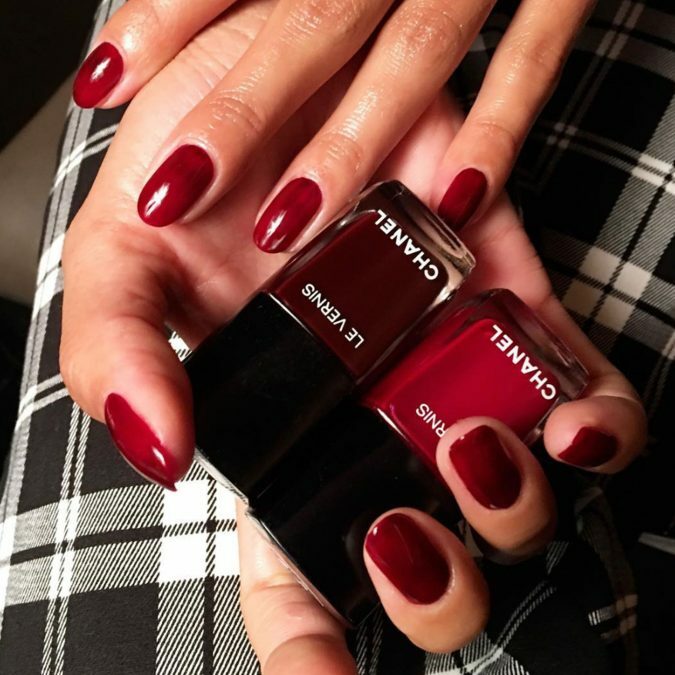 To obtain this vibrant ruby red shade, Elle recommends that you pair the nail polishes Chanel’s 512 Mythique and 500 Rougue Essential. 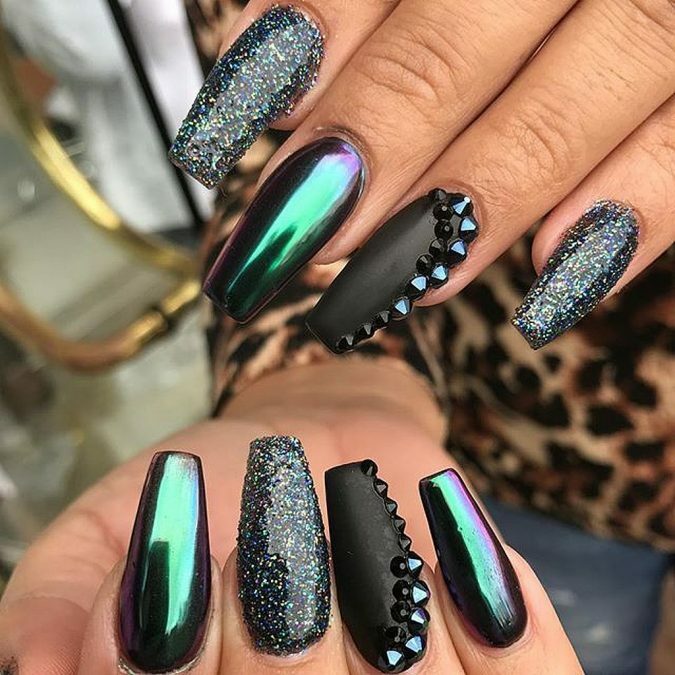 Color mixes, textured surfaces combined with creative fine-art techniques are a nail trend which is expected to go big this year. 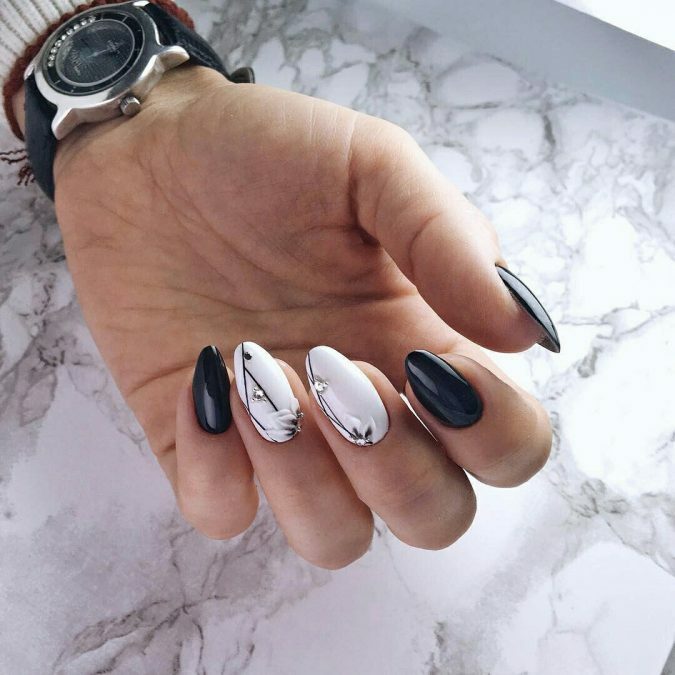 See this breathtaking design of nail_unistella. 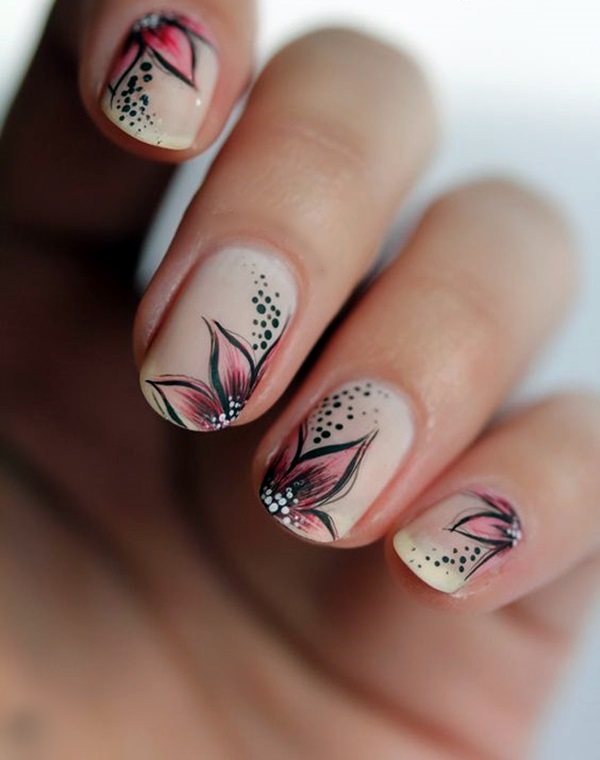 It is a fantastic summer nail design. 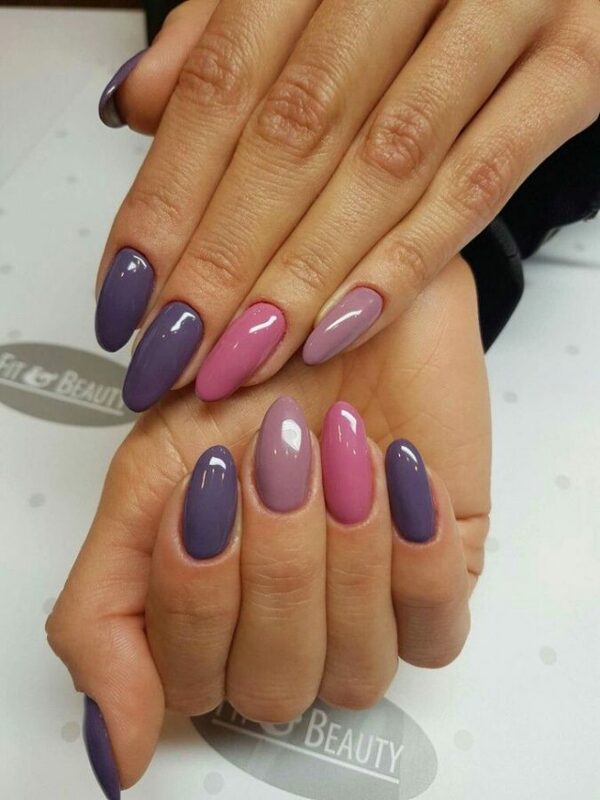 However, you can customize it to fit winter perfectly solely by changing the color set. 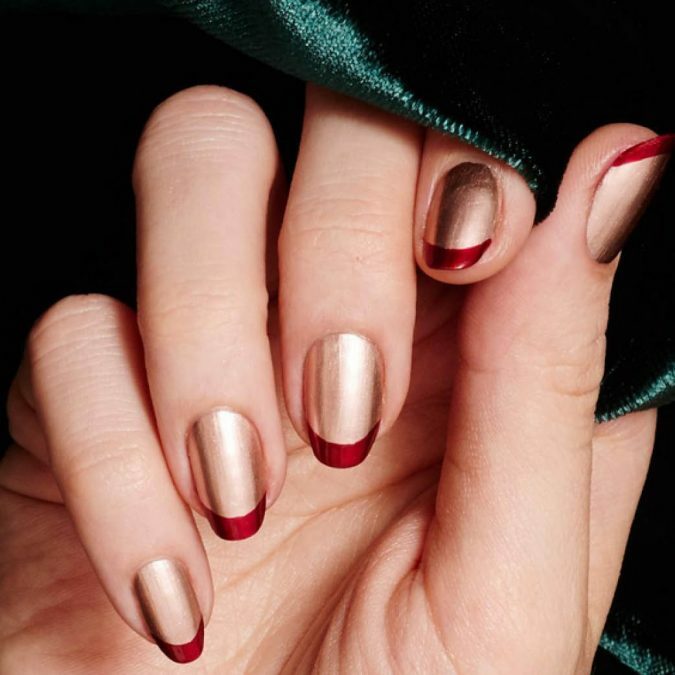 Metallic nails have formed a significant trend, and it continues to rock the nail designs in 2019. 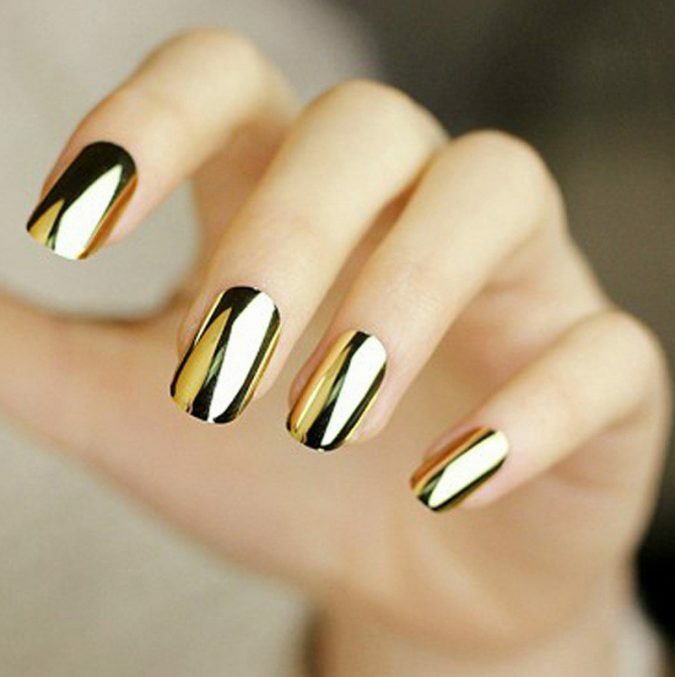 You could go for a bold plain-metallic look or add a touch of it to other colors and designs. 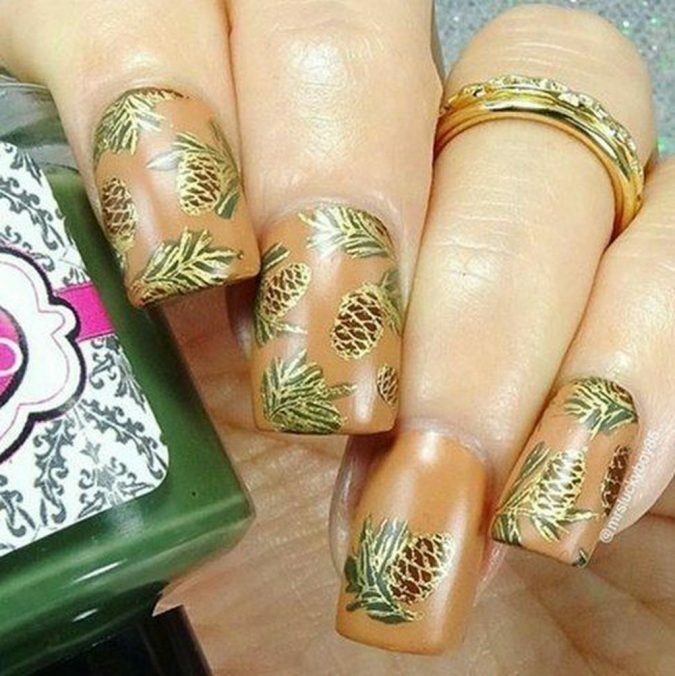 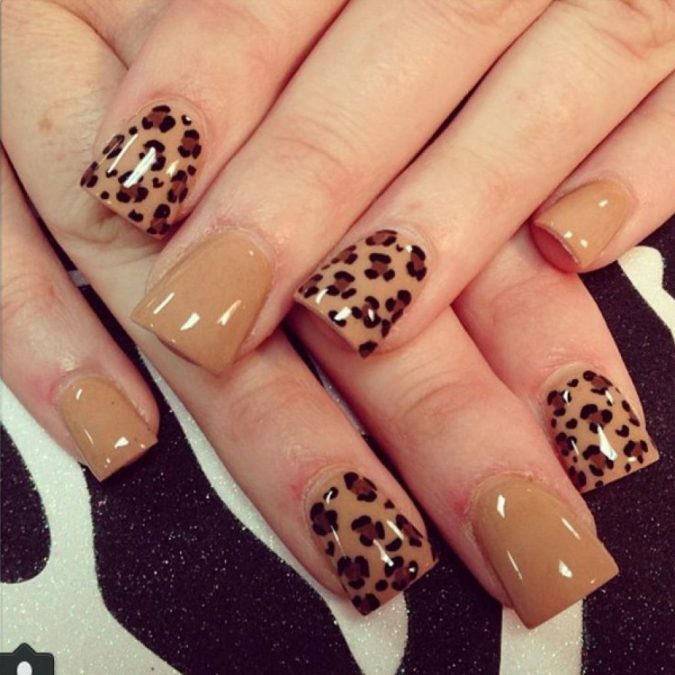 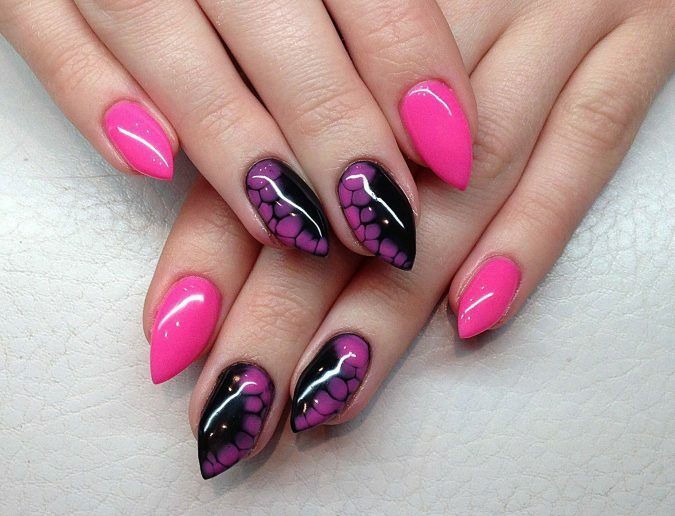 These were nail trends and designs among which we hope that you find what matches your taste. 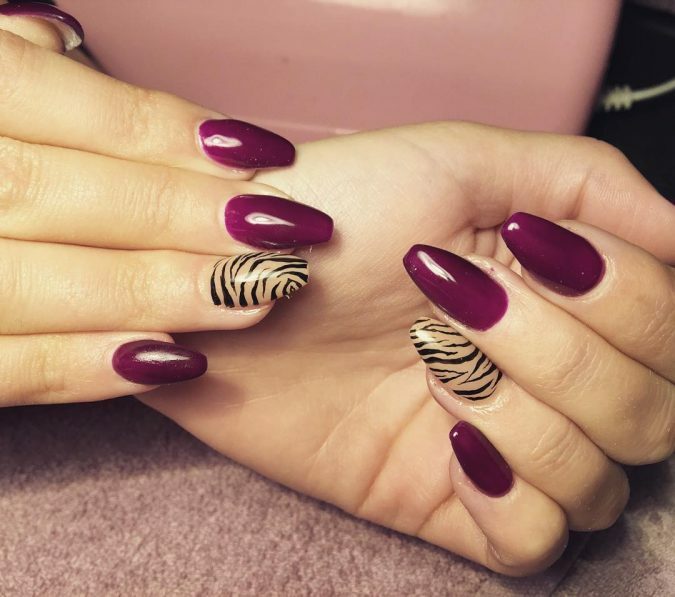 Have fabulous winter nails!